A corrupt tree bringeth forth evil fruit... | WOTM Watchdog! 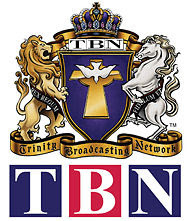 TBN (a non-profit organization) generates almost $200 million annually, nearly two-thirds of which comes from viewer contributions. The rest is a kickback from the televangelists and prosperity preachers that air their programs. During fundraising drives, the hosts will often make emotional appeals to the viewing audience to pledge their financial support to "the ministry" although recent budget information shows a surplus of almost $600 million in the "ministry" fund. Many preachers and televangelists who have been under suspicion, charged and even indicted for money laundering, cooking the books and pandering have been featured in the past on the network; some have not been allowed to return and have sought out other venues such as BET to hook the late-night, minority audience and cash-in on their fear of mortality. In late 2004, Paul Crouch paid nearly $500,000 in an out of court settlement to a former employee who made allegations that Crouch made indecent sexual advances. The former employee was named Enoch "Lonnie" Ford. Crouch denied having a homosexual relationship but admitted to the pay-off. In my opinion, actions speak louder than words. This is but a small list of the many criticisms that constantly swirl around the network and network heads (of the lineage of Paul). Knowing that TBN has such a shady and disreputable past, why would Kirk, Ray and mouthpiece Todd feel at all confident about buying airtime on the network for specials and weekly productions of the evangelical Way of the Master television show? Do WOTM execs feel that it is more important to reach the masses at the expense of the conscience they speak so much of? Does Todd honestly feel comfortable sitting on-stage with a man who paid half a million dollars in hush money to the old office janitor? I wonder how Todd can so viciously attack false preachers and teachers when he relies on the viewership of these men (Benny Hinn, Kenneth Copeland, Jack and Rexella Van Impe, etc.) to pay his undoubtedly exorbitant paycheck. Todd is right when he quotes the scriptures in saying "by your fruits ye shall know them"; Todd bears fraudulent, wicked fruit.